The history represented by Delfshaven in Rotterdam is its role as a storage depot for the VOC (the Dutch East Indies Com­pany), a heritage to which the present-day population no longer relates. It is illustra­tive of the general tendency to preserve and grasp at cultural heritage, without the slightest notion of a structuring framework, in order to create ‘identity’. Paul Meurs makes an appeal for selective choices, so that it will once again be possible to add new substance to the collective memory of the Netherlands. Delfshaven underscores how utterly outdated the notion of ‘traditional’ patrimony has become. That is hardly surprising, since in outline it dates from the end of the 19th century. At that time, important facts and things worth knowing which had taken place prior to 1850 were organized into a logical narrative. A common origin and shared solidarity could be derived from this. Thus a collective memory was created, which lent an identity to the Netherlands as a nation and the Dutch as a people. As with all kinds of memory, collective memory was also selective: a cut-out from history full of exaggeration, simplification and under-exposed aspects. The Dutch national identity had hardly anything to do with the folk culture of the countryside, for example, the more with the ‘haute couture’ of the arts and sciences in the cities.3 The Golden Age came to occupy prime position in the nation’s history, though it had endured for but a relatively short flourish, affecting only a limited number of cities and relatively few people. The period entered the annals of history as a moment of great triumph, which undisguisedly boasted about how a small country could be great. Thanks to the Golden Age it was possible for a nation that consisted for 90 per cent of farmers to present itself as a middle-class civilization. History formed a perfect mirror to the cultural and scientific ambitions of the 19th century. The national identity has of old been symbolized by national heritage, an imaginative collection of objects spread over museums, archives and historical collections. Monuments are also part of the national heritage, being the communal aids to memory that render national history visible and being something which people can experience in everyday life. Even before the 19th century drew to its end, a start was made on drawing up a systematic inventory of important buildings, such as castles, churches and patricians’ houses. The list of monuments swelled by the hundreds. In town and country planning there was still no brief to design ‘identity’, since spatial identity was self-evident. However, with restorations the past was often painted more beautifully and ‘more Golden Agey’ than it had ever actually been. Over the years, the national heritage has been expanded with objects from later periods and other kinds of collections. Monumentenzorg, the department for conservation, started to take an interest in cityscapes and ‘everyday’ monuments, such as factories, working-class housing, social housing and infrastructural projects. Architecture from the period 1850–1940 was explored in a comprehensive inventory and a start has now been made on the period of post-war reconstruction. The many supplements and additions have rendered the national heritage top-heavy. All old buildings and antiquated city quarters seem to be worth preserving a priori. For every square metre of the Netherlands it is possible to provide a detailed history, but the structuring framework has become blurred. Without such a framework there is no longer the distinction between main and subsidiary issues, and everything that is old acquires historic importance. The national heritage no longer represents a collective memory and it is also incapable of representing an unambiguous national identity. There are various reasons for this. Firstly, the explosive growth in national heritage outlined above resulted in the collective memory losing a crucial quality, namely being selective. Without clear-cut choices, the national heritage degenerates into a whimsical warehouse full of meaningless objects and obscure intentions. The collective memory becomes hazy. From the heritage, in all its diversity, it is no longer possible to deduce what kind of people the Dutch are, except that they ­display a strong conservatism. Secondly, as is apparent in Delfshaven, society has changed so radically in recent ­decades that the old, familiar patrimony has become an anachronism. Besides this being a result of changing demographics it also due to individualization, mental and physical mobility, internationalization and changing lifestyles. The loss of cohesion sometimes leads to attempts to shift accents in history in order to serve cultural ‘marginal groups’, which is not really proving successful. For example, some Moroccan war victims were ‘discovered’ in Zeeland and employed to turn the Remembrance Day ceremonies in Amsterdam on May 4 into a multicultural happening. (See elsewhere in this publication.) Instead of fully integrating minorities, this means they remain a footnote in the canonic history. The third reason why the national heritage can no longer generate a collective memory or national identity has to do with the altered profile of the Netherlands. The link between ‘traditional’ history and the physical appearance of the Netherlands has become obscured and only visible to the practiced eye. The spatial development of the 20th century was large-scale and dominant, involving urban expansion projects, the construction of infra­structure, suburbanization and the formation of metropolitan regions. The upshot of that predominant renewal is that it has become difficult or even impossible to recognize the underlying layers. The collective memory, as it was essentially formed during the 19th century, has largely literally disappeared from view. An additional complication is that in present-day building projects historical identity is also designed anew, without any connection with the background, underlying functions or regional characteristics. Thanks to neo-tabula rasa planning (designing historical layers after the fact), spatial identity is no longer something to conserve, but something artificially man-made. The historic fragments also cause us confusion, because they sometimes belong to the national heritage and sometimes blankly contradict the logic of history. In the Netherlands of the 21st century it is hardly realistic to dream of a true collec­tivity. But a memory more collective than what presently exists must surely be possible. The question is what kind of past the cities and landscapes of the future will have, and how that can contribute to the spatial cohesion and characterfulness. Given the interest for identity and history, in spatial planning a lot is expected of the past. There is far too little of the Golden Age that survives in the modern-day Netherlands on which to build further. Other structures which might imbue identity are primarily sought at spots that the 20th century flew past almost without noticing them: marshy meadows and military areas. In the same way as Delfshaven and other VOC cities lent identity to the renewal of Dutch cities a century ago, this is currently being attempted with, for example, the Nieuwe Hollandse Waterlinie (the 200-year-old New Dutch Waterline, an 85-kilometre-long defensive line of 70 forts) and the Roman Limes (the remains of the fortified borders of the Roman Empire). Both involve landscape structures which might retain something of their landscape-related quality in a process of urbanization. It is a challenge to search for new historic identity at the core of the present-day living space and not just at its periphery. This requires a new reading of the places where everyday life has amassed, such as the urban, suburban and infrastructural areas of the 20th century. Only with this revival of the collective memory is it possible to uncover cohesion in the apparent chaos and once again facilitate attachment and engagement. How history can be used to bind random groups of humans into a people or a nation is readily apparent in the New World. In the United States, the vastness of the land mass is the connecting factor. The population was given the chance to realize an American dream in the land of limitless possibilities. Since then, the US has represented a communal territory to be defended and a common market (the world) to be conquered. Brazil developed a different kind of national identity, based on a cultural symbiosis. In 1933, the sociologist Gilberto Freyre described how all the children on the sugar plantations, regardless of ­status or race, were raised in both the (Catholic) European and the (polytheistic) African traditions. Because of the specific context of the country and the open-minded interaction between the imported cultures, he argued that this resulted in a new and unique culture. Freyre was the protagonist of the myth about the creation of the Brazilian people.4 The author Oswald de Andrade even styled the Brazilian identity as anthropophagism (cannibalism).5 In music, football, litera­ture and architecture, this attitude has led to everything but a sense of cultural inferiority. During its pioneer phase in the 1930s, the Brazilian department for the conservation of cultural patrimony sought ways to use the national heritage as a building block of a modern society.6 Conservation was not seen as a (moral) goal per se, but as a means to be able to imbue modern Brazil with a memory and a conscience. The true power of tradition had nothing to do with the conservation or reconstruction of an ‘authentic’ form, but was linked to a symbolic, contemporary meaning of the monuments. 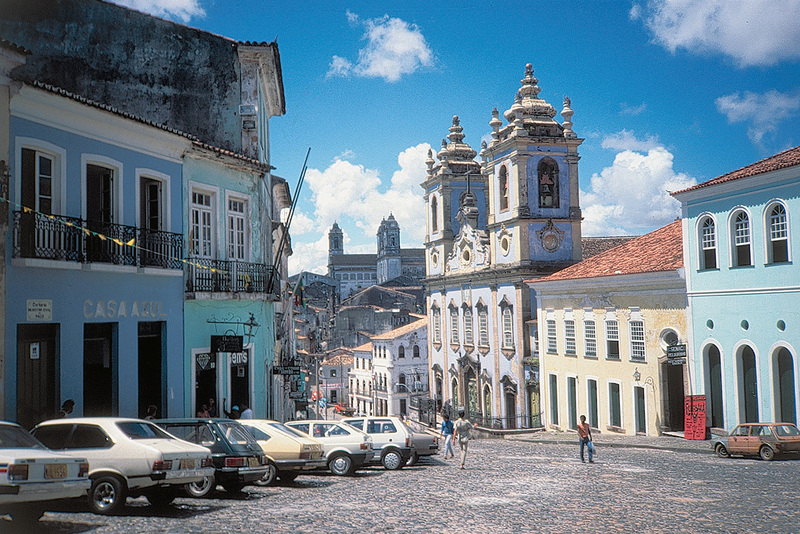 The consequences of this approach can be seen in the former capital city of Salvador, where the Portuguese elite had grandiose houses built. The old city centre has now been ‘confiscated’ by the Afro-Brazilian population and is cherished as the cradle of black culture. The monuments are not a reference to the morality of the age of slavery in terms of ‘right’ and ‘wrong’, but to the origins of a free and emancipated Brazil. Another example of the free interpretation of heritage can be found in Curitiba, in the south of the country. The city’s cultural heritage is minimal, certainly in comparison to Europe. Nonetheless, this is the ‘personal history’ of the local population and the humble houses in the old centre of this city of millions are therefore preserved as if they were palaces. The city also provides space for the memories of all the migrants who have settled in Curitiba over the last century. Each population group has accommodated elements of its own culture in monuments on thematic squares and in parks. The Italians, Germans, Portuguese, Japanese, Ukrainians and Arabs tell their story of migration and integration here. As a city of migrants, Curitiba remains devoid of ‘minorities’, since the identity of the city is built up from all the imported cultures together. Curitiba strives to be a fertile medium in which all the cultures of the world can take root, and history fulfils a key role in this. If the Netherlands of today were to be invented and go in search of its history, then the Golden Age would probably not be set in the period of Rembrandt and Piet Hein, but in the age of Willem Drees, the politician who introduced the welfare state, and the artist Piet Mondrian (1872–1944). The true Golden Age of the Netherlands dawned with the founding of the welfare state and the myth of the socially engineered, ‘makeable’ society. From that perspective, the most important monuments are not to be found in the old city centres but around them. Who we are, where we live and how we relate to the outside world can be seen in the suburbs and along the motorways. Whether someone is Turkish or from Twente, a block of gallery flats is more resonant to him or her than a canalside mansion. The collective memory of the future was largely shaped in the 20th century: it is the story of the Netherlands as the cultural delta of Europe, a man-made landscape with new nature. 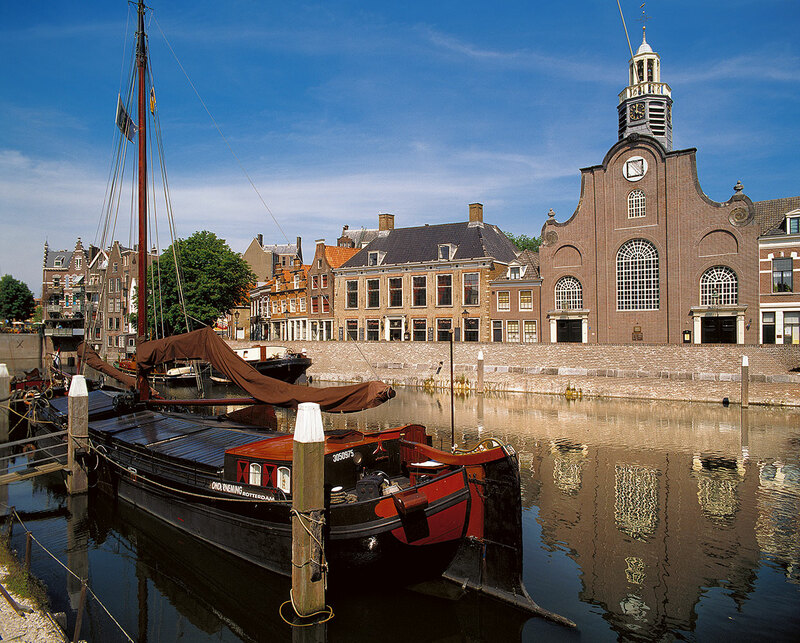 By viewing things through the spectacles of the new history, the historic Delfshaven acquires a meaning different to that of merely being a warehouse for the VOC The city quarter has grown along with the Port of Rotterdam and was a 20th-century testing ground for social experiments. 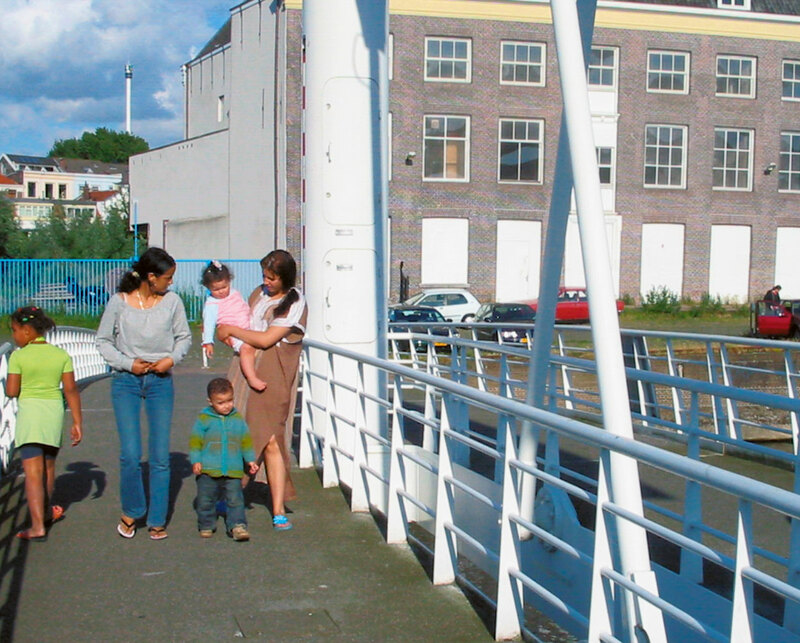 Besides the modern port facilities along the Nieuwe Maas, the residents of Delfshaven can be proud of the many examples of social housing, such as the block of gallery-access flats designed by Michel Brinkman in Spangen and the world-renowned Van Nelle factory on the Delfshavense Schie. In the light of recent history, the old Delfshaven is still important, as an upbeat to internationalization. The many layers of history connect past, present and future generations to the universal ports of the city. How can recent history provide the cohesion that old history does not? By placing less emphasis on isolated monuments, as in the traditional sense of preservation of cultural heritage, and all the more on big structures and space, the cities of the future will be more easily ‘readable’ and understandable. The much-needed selectivity can also be achieved by shifting the emphasis in history onto the brief periods that structurally altered the appea­rance of the country: post-war reconstruction and the welfare state. The myth of a ‘makeable’ society could bind together all the colours and faiths to be found in the Netherlands. This does not mean that the makeable society should be rebuilt retroactively. The act of committing the period to the history books and integrating it in the collective memory actually creates a framework to which the Dutch of today can relate, and from which ­future generations can dissociate themselves. Thanks to the history of the 20th century, the Netherlands can imbue terms that have traditionally belonged to its pillarized social structure, such as tolerance, autonomy and respect, with new meaning. That history also provides anchoring points for further integration within Europe, making it possible to cope with the tensions between different cultures, internationalization, individualization and worldwide coalitions. The motto ‘segregated but united’ is calling for new substance. 1. Piet Hein (1577–1629) was Vice-Admiral and later Admiral in the service of the Westindische Compagnie (West Indies Company), which primarily focused on ‘privateering’, i.e. predatory expeditions and ransacking. He was involved in capturing the Brazilian city of Salvador (1624), and the plundering of the Spanish fleet in the Bay of Mantanzas (1628). Dr. M.G. de Boer, Piet Heyn en de zilveren vloot, Amsterdam 1946. 2. The millers brought together the recipes and life stories of their customers in: Gerard Keijsers and Peter Paul Klapwijk, Uit alle windstreken, Rotterdam 2001. 3. Ad de Jong, De dirigenten van de herinnering. Musealisering en nationalisering van de volkscultuur in Nederland 1815–1940, Nijmegen 2001. 4. Gilberto Freyre, Casa grande e senzala, Formação da Família Brasileira sob o Regime de Economia Patriarcal (trans. as The Masters and the Slaves), 1933. 5. Oswald de Andrade, ‘Manifesto antropófago’, 1928. 6. Paul Meurs, ‘Modernisme en traditie, monumentenzorg in Brazi­lië’, Archis, 6, 1994, pp. 70–80, or see: www.urbanfabric.nl. Paul Meurs is an architect and researcher with Urban Fabric Schiedam.